BREAKING: MAN ARRESTED IN ATTEMPTED MURDER OF LARS HEDEGAARD……! – The Tundra Tabloids……. BREAKING: MAN ARRESTED IN ATTEMPTED MURDER OF LARS HEDEGAARD……! There was an attempted assassination against sharia critic Lars Hedegaard last year, covered by the Tundra Tabloids, here. It appears that the police have kept themselves busy on the case, what’s disheartening is the lack of support by the notables in Danish society and in the media, in supporting Lars. Typically, there’s no mention of the nationality and ideology of the person arrested. They’ve been tracking him abroad for months, mapping his network, friends, activities. Now they found they had enough evidence and sufficient knowledge of his contacts, and had the foreign police arrest and extradite him. The guy was arrested in Turkey, has also been in Syria. He escaped Denmark on the day of the assassination already. An arrest warrent was issued on November 7th, but it was difficult to apprehend him out there in the Syrian jungle. Police is still pretty tight-lipped, but they’re very confident to have the right guy. He’s still in Turkey, but should be extradited according to normal procedure. He was using a fraudulent passport. 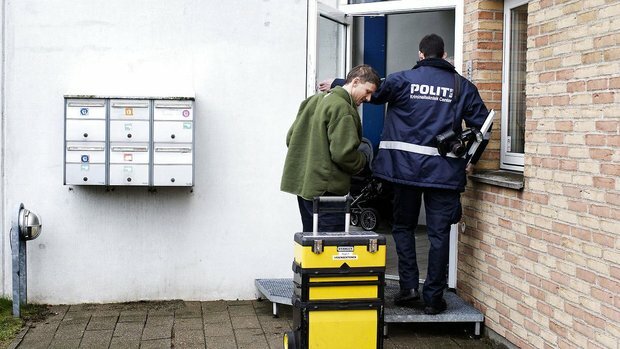 Danish police refuses to comment on speculation that he has been involved in fighting in Syria. The investigation has been under media blackout, where the police routinely said “No progress”, even though they had a name and an arrest warrant. “Justified suspicion” means they’re pretty damned sure they have the right guy. A man on Friday was arrested abroad after a long time having been under investigation for being behind the attempted assassination of Islam critic Lars Hedegaard in 2013. Copenhagen Police have arrested the alleged offender who in 2013 tried to kill Islam critic Lars Hedegaard. The police said in a statement. The suspect was on Friday detained abroad, police said, the same day conducted nine searches in the Copenhagen area and two abroad. There are also carried out interviews with people who have relationships with the suspect to “secure evidence and explanations,” says the press release. “It should be emphasized that none of these persons are suspected in the case, and there is no suspicion that the assassination attempt was carried out by more than one person,” said police inspector Jørgen Skov, director of The Research Unit in Copenhagen Police press release. Previous Post Previous Post MELANIE PHILLIPS: WHAT TONY BLAIR SHOULD HAVE SAID……. Next Post Next Post OUR DAILY MIDDLE EAST VIOLENCE 27.4.2014……. Wow he was assassinated 1000 years in the future.. How did we learn of this?